As I mainly work with niche review websites, I had no idea about any store builder that time. Later, I got to know about Fresh Store Builder from Chris Guthrie. I bought a Fresh Store Builder license very next day, and started exploring what the software got to offer. I have been using the software since then to build beautiful Amazon stores, and it works really great. The company recently released its' new version with a lot of improvement. Fresh Store Builder is now even better, and easy to use. If you are planning to make money from Amazon, and looking for the best store builder software, this article is for you. I'm writing this review just to help you deciding whether you should buy Fresh Store Builder or not. 14 Sales In Launching Week! Fresh Store Builder Worked For Him! Also there are dozens of success stories on the forum, it proves that people are making money from Amazon affiliate using Fresh Store Builder! 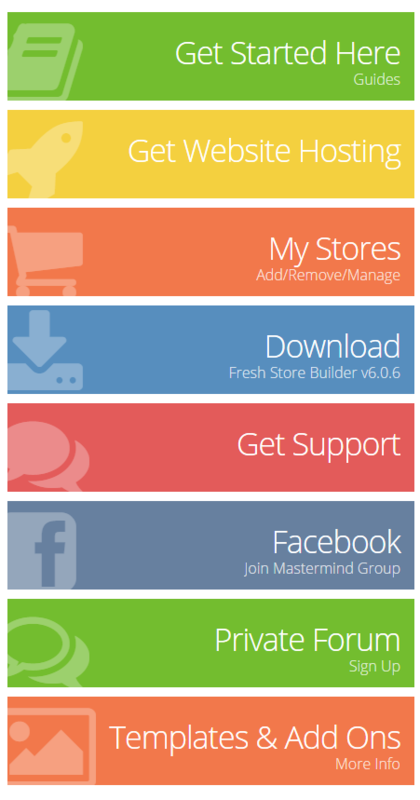 Fresh Store Builder is a easy to use software with a lot of functionalities. Even if you’ve never built an Amazon store, you will be amazed at how easy it is. 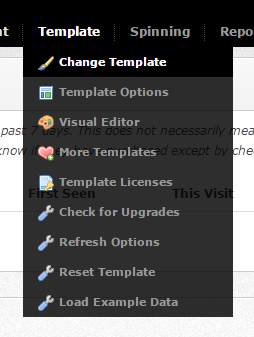 Simply use the templates comes with the software and go through the step-by-step, super easy interface to customize. You’ve heard how important content is to websites, right? When you use this software, you’ll have complete, 100% control over the content that is on your site. You can add pages, articles, change product information, change meta information, and so much more directly from the front end. WANT TO SEE FSB DEMO? One of the best features of Fresh Store Builder is its’ performance report. You will have access to all sorts of reports need to scale your affiliate business. You will be able to find out how many visitors you have, where they’re coming from, which pages are visited more often, which links to get the most clicks, which products to sell the most, which products are put in the cart the most, which products are looked at and not bought, and much, much more. When your site is live, you can take this information and know how to make your site better every single day. I recommend Fresh Store Builder for marketers who want to generate traffic from social media and other sources except search engine, but this doesn’t mean Fresh Store Builder is not SEO friendly. Since this software is built from scratch from the ground up, every aspect of this software is designed with SEO in mind. While you may still need to be mindful of your search rankings, you can rest easy knowing that most of it is taken care of for you. 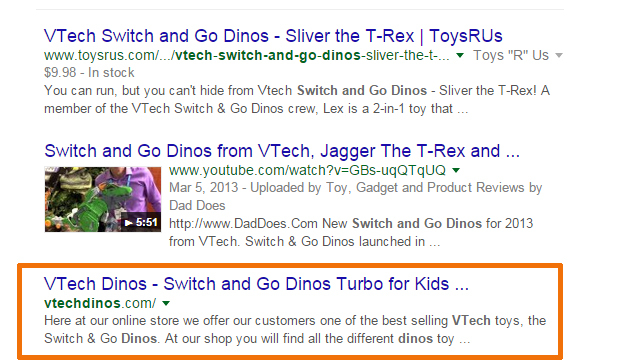 Search ‘VTech Dino’ ‘Switch and Go Dinos’ in Google. You will see a Fresh Store Builder powered site on the first page. These are competitive keywords, and Google ranked a Fresh Store Builder powered site for the terms. You are qualified to get affiliate commission from Amazon when somebody goes to your website, click to Amazon affiliate link and they purchase anything from Amazon in the next 24 hours. No matter what they buy. But it works completely different with Fresh Store Builder. The software automatically add product to visitors Amazon cart, and Amazon allows 90 days cookie whenever someone add any product to their cart following your affiliate link. Don’t be confused, you will only get 90 days cookie covered for the product they add to cart, not any other products they after 24 hours. Completely automatic means your products will update themselves. If you add a product to your store from Amazon.com, and that product gets updated, whether it be price, availability, features or even description, your store will automatically update with Amazon! You will never have to go in there and double-check to make sure your store products are up-to-date with what Amazon has. In this sense, your store runs itself. Once a product is added, Fresh Store Builder does the rest. You don’t need to touch it, you don’t need to update it. If you have ever gone shopping online, then you know exactly what a customized search function can do for a website. This is especially true for a store that sells multiple products. Many people, when they go shopping online, are looking for something specific. While people do like to browse, when they are ready to buy, they know exactly what they’re planning on purchasing. A search function on your website and your store is one of the most powerful ways to make shopping easier for the customer. This makes them much more likely to buy from you rather than one of your many competitors. Fresh Store Builder knows that your website has to be easy. Otherwise, you can lose potential customers. Fresh Store Builder doesn’t want that any more than you do. When you go shopping online, and you want to browse through products, you may wish to reorganize how products are displayed. Maybe you’re looking for price, size, or even color in the search. Fresh store builder thought of that too. Every time if a customer searches for a product on your website, they are able to sort the results, and filter the results. If they’re looking for red or green T-shirts because it’s Christmas time, they can sort out every other color except for red and green. Allowing this level of custom control to your customers is an enticing feature that will make them want to come back to you because you’re making their experience easier and more interactive. This means you do not need to know any code whatsoever. It is a visual editor wherein if you make a change on the screen of what you’re seeing, it will be reflected on the website. The software takes care of all the coding for you, so you don’t have to know any of it. As you edit your store through the dashboard, you may wish to shop your store the way a customer does so that you can have a customer experience. This level of control allows you to catch any errors before our customer sees it. It enables you to see your store the way a customer does. You’re not limited to the admin view. You don’t have to log out of the dashboard and visit your website just so you can catch things before the customer does. This feature gives you confidence that your store functions the way it’s supposed to, and you can rest easy knowing that your customers are in for a great shopping experience. Easy Categories means you’re allowed to create categories for your products in a way that fits you and the way you want it. You’re not stuck with categories as grouped by Amazon or anyone else. Create your categories and subcategories the way you want in a way that makes sense to you. This is an excellent way to make sure that your store is truly a custom shop. Skins can be described as themes for your store. They are a lot more than just colors that match. Your entire website can be custom-made using these themes and arranged the way you want. 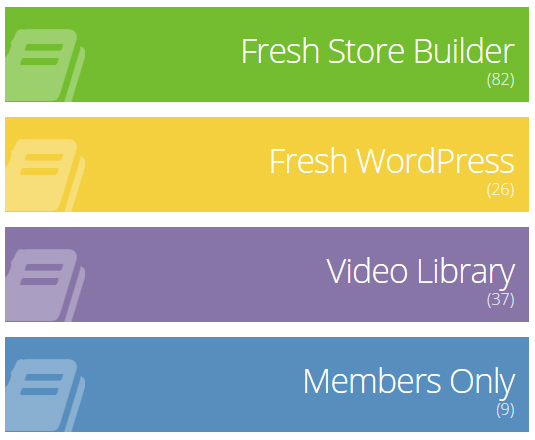 Multiple skins are included with the purchase of Fresh Store Builder as well is two expertly designed templates. 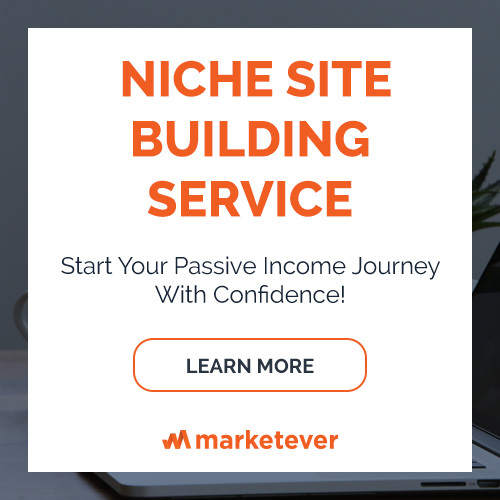 This is an excellent way to give your site a professional, custom-made look in a minimal amount of time so that you can get your store online and live faster than you thought possible. Your store is optimized for and compatible with every single Amazon website out there – this includes USA, UK, Germany, France, Spain, Italy, Canada, India, China, Japan, and more. Your store is compatible with every single version of Amazon website around the world without lifting a single ‘extra’ finger. That’s just one of the ways Fresh Store Builder makes this easier for you. In today’s increasingly fast electronic world, your website and your store are expected to load in the blink of an eye. This is especially true for mobile versions of your website – when your site is viewed on a tablet or a mobile phone. According to a research done by Microsoft Bing search team, less than 2-second increased delay in page load reduced user satisfaction by 3.8%, lost revenue per user of 4.3% and reduced clicks by 4.4%! Now a days, most people who shop online are using their phones or tablets, and if your site is not loading very quickly, people will not buy anything from you. Fresh Store Builder knows this and has optimized every bit of your website for both mobile use and speed. Your website will load very quickly on any device a customer may choose to use. People expect your store your website to be lightning fast – so that’s what Fresh Store Builder gives you. Fresh Store Builder member dashboard is full of resources. You will get a lot of videos starting from technical stuffs to design to content creation. You will also get a full range of support. You get access to what they call the Mastermind Forum, where people get together every day and discuss everything about their stores. You will find critiques, support, and fresh ideas from the mastermind group. You will be part of a larger conversation. If you need further help, there will always be someone to help you one-on-one to make sure you get back on track. The features here comprise of an incomplete list. Fresh Store Builder has been around for quite some time – over five years. This means they have had quite a while to tinker with the software. It is updated weekly for free. They have been involved in the conversation in the Mastermind Forums and have listened attentively. They’ve added more features than anyone should be willing to shake a stick at. How To Generate Traffic To FSB Store? 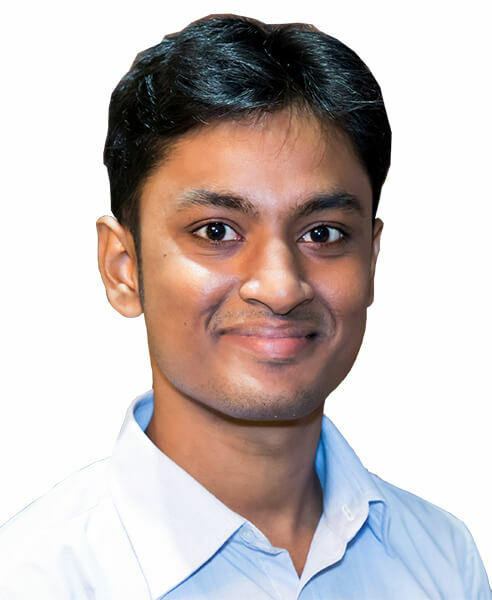 As I always go for niche review site when my target is getting Google traffic, I will always recommend to create niche review website if your target is same. But getting traffic from Google takes a lot of time. 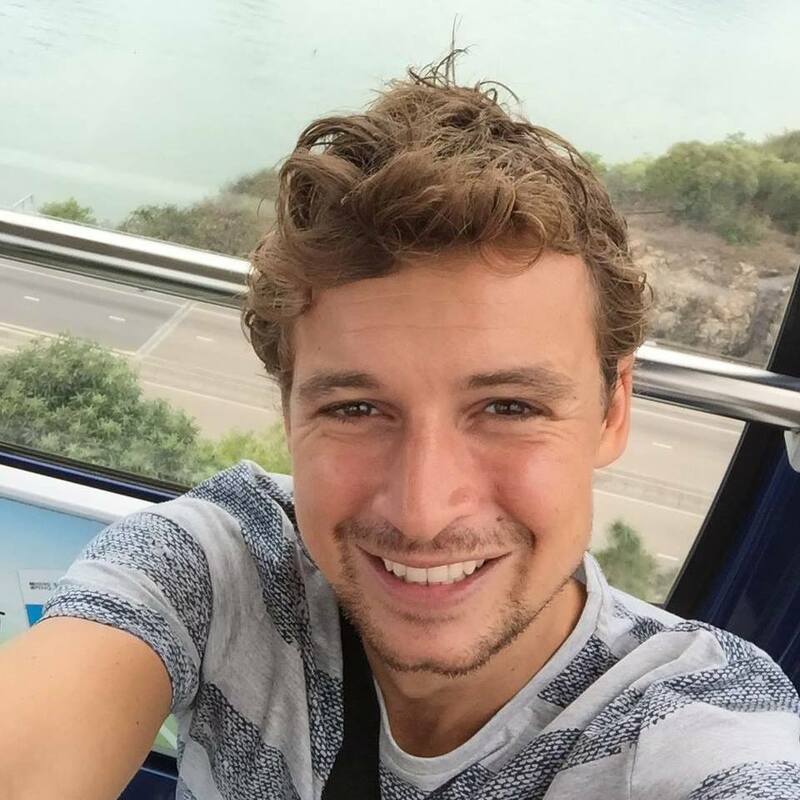 If you don't want to wait to see your Amazon niche project to make money, you can go with instant traffic sources like social media marketing, video marketing and a lot of alternative traffic sources available. I reached out to Carey Baird, Founder of Fresh Store Builder and asked what's the best ways to drive traffic to FSB powered store. I got his reply with his recommended methods. These are the top traffic sources marketers can drive traffic to Fresh Store Builder powered store. YouTube videos, Facebook pages, Facebook groups, Facebook paid ads, Google paid ads, social networking traffic and definitely Google organic traffic. This is not a WordPress plug-in. There are plenty of those around. This is a complete Amazon Store Affiliate solution. It’s a completely automated store that you can start in minutes. If you want to get traffic from search engine, go for niche review websites. But, if your plan is to generate traffic from social media, classified sites or leveraging email list, Fresh Store Builder is the software you need! One of the best things about Fresh Store Builder is, I don’t need to invest a lot of money to develop contents. I can easily import contents from Amazon through Amazon Product Advertising API, and can easily spin with the default spinner comes with the software. 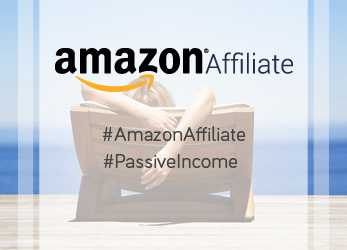 I hope the review to help people who are just starting with Amazon Affiliate Marketing. Thanks for the heads up, Brandon. I want to add one point, importing content from Amazon and just spinning (and publishing) might cause your Amazon Affiliate account banned, as Amazon wants their affiliates to add value on their site, not just re-purposing contents available somewhere. 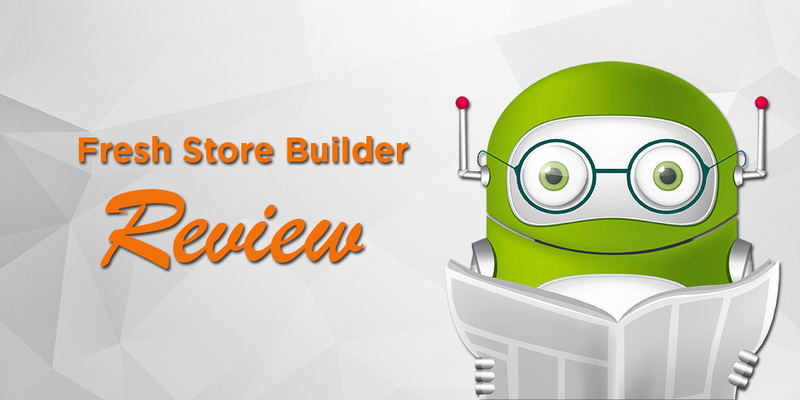 This is really a comprehensive review of Fresh Store Builder. I’ve never heard of it before now, maybe its because I’m not into ecommerce sites anyway. However, the tool seems to be a very handy one especially because Chris always creates great products and also judging by your review. I will have to check it out, maybe i can recommend it to someone. 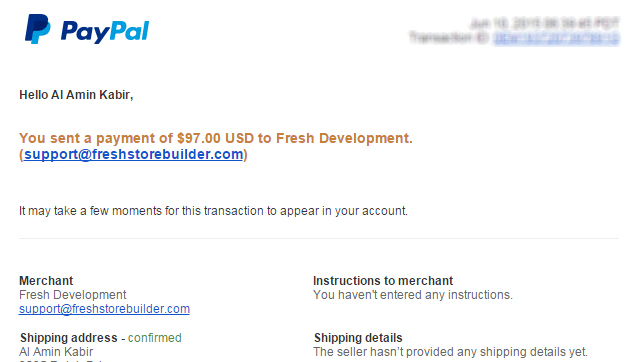 Fresh Store Builder is recommended only for the marketers want to build ecommerce type of affiliate sites. Great review. I like your honesty in the last words “review sites always win”. I have some review sites to amazon products. Can you suggest me some tips. I am excited to do this….. Thanks for your nice and in details review. This really a great tools to build an Amazon affiliate site. I want to know one thing that, Is it possible for the users to stop the 90 day cookie system of this tool? The reason I want to know this is because I think adding a product automatically to a visitor’s cart without his approval is a kind of illegal act, and I hate all kinds of Illegal act. Plz answer my query. 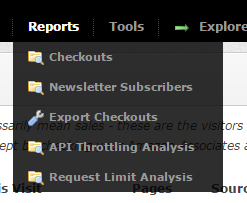 If it is possible to stop adding product automatically to my visitor’s cart then I want to buy this product. Thanks again for your nice and useful review.